Looking to be in your new home in 2018? This home can close by the end of December!! 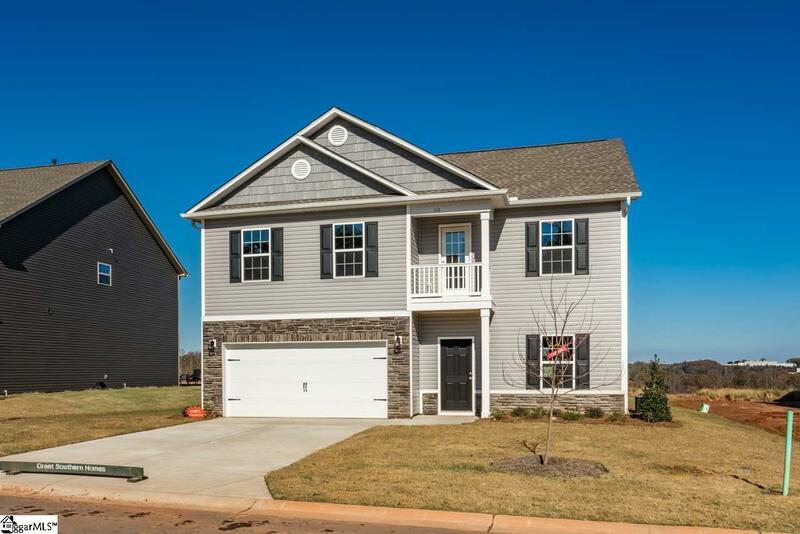 Welcome to Wilson Farms, Great Southern Home's newest extraordinary community, minutes from Greer, BMW and Interstate 85. These impeccably detailed new homes feature the style and detail of homes of the past, with the upgrades and advanced technologies that new home buyers have come to expect. See for yourself the wonderful features that set Wilson Farms homes apart from other homes in their same price range. The Davenport II floor plan is a 4 bedroom, 2.5 bath house with an attached 2 car garage. The master suite, secondary bedrooms, and laundry completes the home on the second level. Plus, this is a GREEN SMART Home! Imagine turning on your lights, adjust the thermostat, streaming music through you home, all from the touch of your home, from anywhere. This is all possible through the Honeywell Lyric Touch Home Automation System.